Considered one of the greatest sculptors of all time and producing pieces that are considered masterpieces even today, Phidias’ (or Pheidias) work remains to tantalize our imaginations. Due to the fact that we can only reconstruct some of his works, such as the colossal statues Athena Parthenos or Zeus at Olympia, from copies and descriptions, we truly can only imagine the immense impression that his art must have created for the ancient audience. Outlining the life of Phidias proves to be quite entertaining, peppered with a rise to fame, favoritism, scandal, bribery, and even exile. This all paints a vibrant portrait of the sculptor… however we should be wary of these stories since the majority are anecdotal as opposed to biographical. As with most historical figures in antiquity, exact dates are unknown. 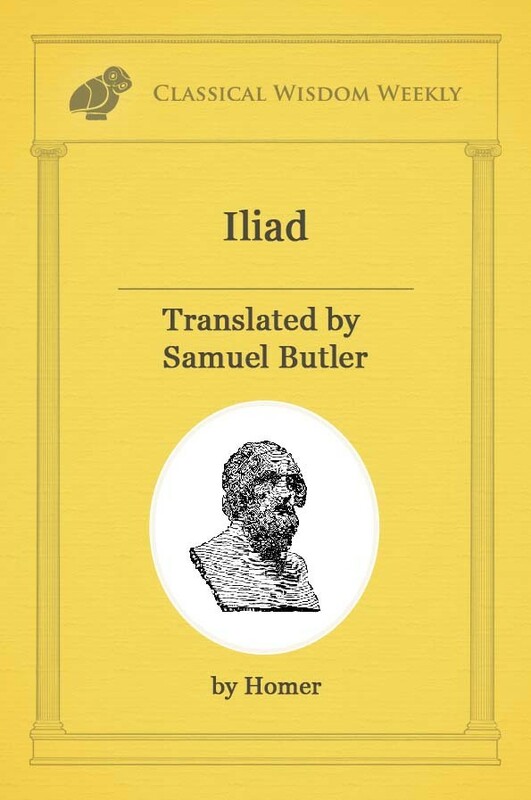 However, Phidias is expected to have been born around 490 BCE in Athens. He was the son of Charmides and was trained by other Athenian sculptors. Probable teachers in his early life were Hegias of Athens and Ageladas of Argos. Ageldas, or Hageladas, is suspected to be the reason behind the Dorian style exhibited in some of Pheidias’ work. In contrast to the scarcity of information detailing Pheidias’ life, we know a great deal about his career and his works. 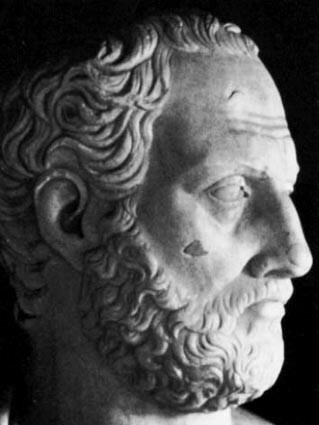 Around 449 BCE, Pheidias was placed in charge of a large building program that was initiated by the Athenian statesman Pericles. This was after the Persian Wars had swept through Greece but preceding the Peloponnesian Wars in the later half of the 5th century. As a part of this mega building project in Athens, Pheidias’ was commissioned for three different works on the Parthenon: the Athena Promachos, the Lemnian Athena, and the Athena Parthenos. Athena Promachos, or Athena who “fights in the front line,” is thought to be one of Pheidias’ earliest works. 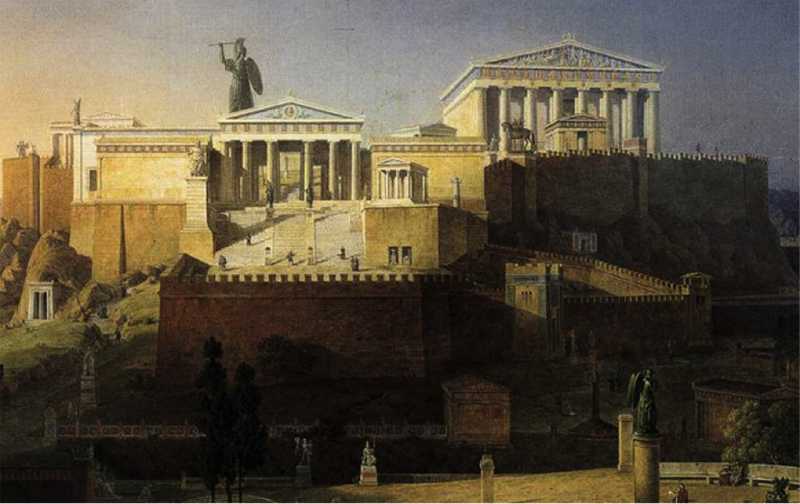 It was placed on the Acropolis around 456 BC, measuring around 30 feet high. While the statue itself does not remain, we do have a description from Pausanias who tells us that the statue was set up in the open, behind the Propylaea, with her helmet and tip of her spear visible to sailors approaching Athens from around Cape Sounion. The statue itself may have been erected to commemorate the battle of Marathon, in which Athens delivered a surprising blow to the Persian army in 490 BC. Incredibly, we have parts of the base and inscription that Athena Promachos rested on. The statue was destroyed in 1203 AD, but the form has been discovered on a few Attic coins that were minted during the Roman period. For one of Pheidias’ earliest works, it certainly did not lack any amount of sophistication or craftsmanship. Another statue that was erected on the Acropolis and credited to Pheidias was the Lemnian Athena. Originally worked in bronze, the statue was dedicated and paid for by Lemnos, an Athenian colony, in 451 BC. Again, the original statue has been lost, but we do have a few Roman copies: a head recovered from Bologna and two statues in Dresden. Together, they give us the sense of what the original may have looked like. However impressive these two preceding statues were sure to have been, little compares to the colossals that Pheidias produced: Athena Parthenos and Zeus at Olympia. 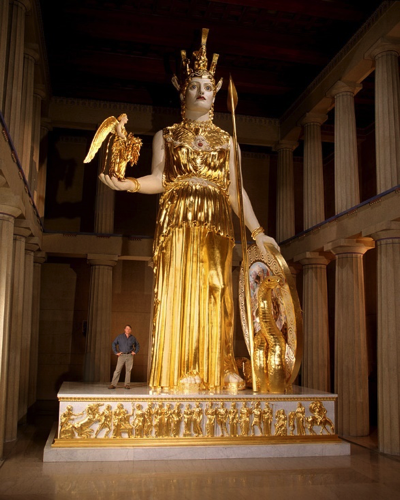 Athena Parthenos was completed and dedicated in 438 BC, and was placed inside the Parthenon. She was made of gold and ivory and stood roughly 38 feet tall. And while we still don’t know much about Pheidias’ personal life at the time, we do see him and Pericles represented in the shield that Athena Parthenos holds… a fact that becomes integral to his downfall in the years to come. Again, the original no longer exists, but Roman copies and coinage give us the image of Athena Parthenos that we have today. The statue of Zeus at Olympia was Pheidias’ final major project and was completed around 430 BC for the temple of Zeus at Olympia. It too was colossal, clothed in gold, and body made of ivory. It was about 42 feet high and took up the entire height of the temple, with some questioning how the statue even got in the temple in the first place, seeing as the statue came second. The statue of Zeus was highly decorated and painted, adding to the jarring, and somewhat gaudy by modern day perceptions, image of the god. 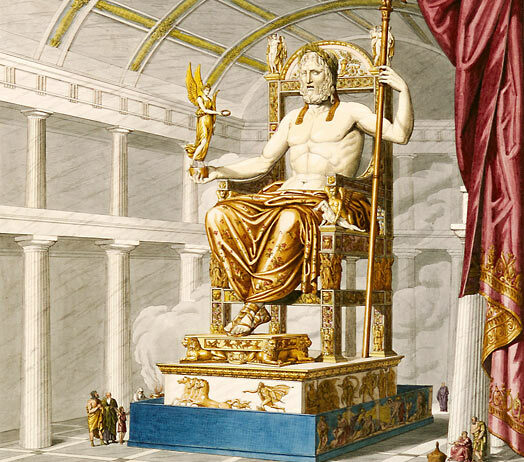 Today, the statue of Zeus is considered to be one of the seven wonders of the ancient world, even though the original no longer survives. After the statue of Zeus at Olympia, Pheidias seems to have quickly left the public eye as a result of scandal and enemies. Likely due to his close association with Pericles, the Athenian statesman who certainly had his fair share of enemies, Pheidias was a target for plots seeking to get rid of him. One of the reported attacks on Pheidias came in 432 BC when he was accused by Pericles’ enemies of stealing gold from Athena Parthenos during construction for his own wealth. Somehow he was able to defend his way out of this accusation though and nothing much came of it. A few years later, Pheidias was accused of impiety, on the basis of his personal representation (along with Pericles’) on the shield of Athena. For this charge, he was thrown in prison and then likely exiled to Elis. 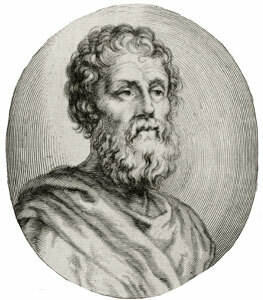 His actual place of death is disputed, with Plutarch writing he died in prison in Athens, while Aristophanes quotes Philochorus saying he died at the hands of the Eleans after he finished the statue of Zeus. Although we know so little about Pheidias’ life and most of his original work has been lost, he is still considered one of the greatest sculptors of all time. He produced monumental works that took up prominent places, so his exposure seemed to be far above his contemporaries. Pheidias is thought to have ushered in a true change in sculpture style into the classical from any leftover Archaic style. He represents a time of wealth and prosperity in Athens, but also serves as a reminder of the rampant political tensions, ultimately leading to his death.